This is one of our all time favourite recipes ever. Our all-time yummy-always-a-hit picnic sandwich. I love it because not only is it a fabulous sandwich, but it is the ultimate in ‘make ahead’ food. It tastes better the day after it’s made….after the flavours have had time to mingle. It makes 8 sandwich wedges and each piece is very filling and satisfying. This sandwich requires a filling, some meat & cheeses and a round loaf. 1/2 cup chopped fresh basil. Do not skip this ingredient! 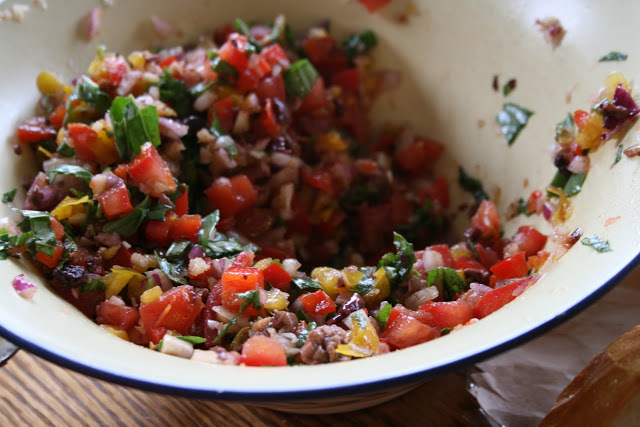 Mix all of these things together.The tomato mixture is similar to a brushchetta topping. You can adapt the filling to your own tastes by adding grilled vegetables with hummus or pesto. Scoop out the loaf so that you have about 1 inch of bread all around. Keep the ‘hat’ of the loaf for the finished sandwich. Brush the inside of the loaf with olive oil. This step prevents the bread from going soggy. Now spoon half of the filling into the bottom of the bread and press down with spoon. Then layer in half of the sliced meats. You can use different salami, ham, turkey or even eggplant if you want to keep it vegetarian. In this sandwich, I used sliced turkey & ham. Then layer in cheese slices. I used havarti slices. Again, any favourite cheese can be used. After the cheese layer, layer the remaining meat and spoon in the other half of the filling. Place the ‘hat’ back on the loaf. Press firmly. You are done! Wrap sandwich tightly in saran wrap. Then I also wrap in tin foil. Place sandwich in large bowl with some soup cans on top for weight to help “press” the sandwich. (This step can be skipped, especially if you don’t have room in your fridge for the big bowl). Place sandwich in fridge overnight. I usually slice my sandwich in the morning with an electric knife into 8 wedges. Then I re-wrap the sandwich in plastic wrap and tin foil and place in the cooler until lunch time. This sandwich doesn’t take long to make. Once you chop up the ingredients for the filling, the rest only takes a few minutes. My 13 yr. old daughter has actually made this sandwich. 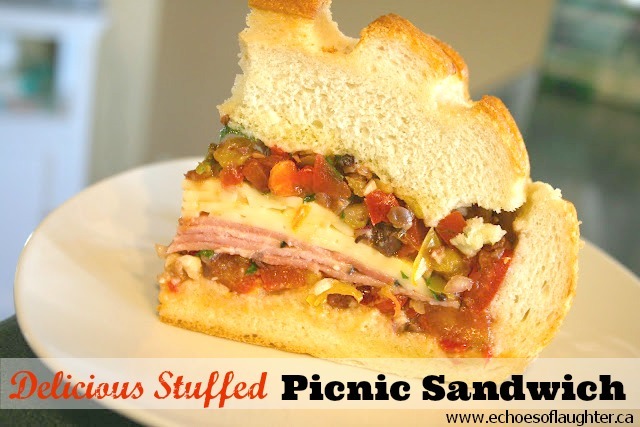 There you have it…..a super scrumptious sandwich for a picnic! That looks so good! Must try it! I tried this when I first saw it posted and it's become a family favourite, especially on hot days when I don't feel like cooking! Ohhh, this looks SO GOOD! I have some basil sitting around…maybe I will try this. It looks like the bread is key as well. Thanks so muchf or sharing!!! looks great! I may have to make this for Ravinia (www.ravinia.org in case your interested), An outdoor concert picinic venue in Chicago. I love that you can make it the night before which is exaclty what I need!! Yum, yum, yum!!! This is an awesome sandwich Angie! I love your camping post…great tips!! Im so keepin this one in my recipe folder for meals I will try for next month thanks! Umm this one looks yummy too! That looks delicious! We found your blog through TT&J and are your newest followers! We would love for you to follow us and check out our blog. We have an awesome giveaway going on right now! I made this sandwich this weekend and it was absolutely amazing!! Thank you so much for sharing this recipe!! I passed it on to anyone I could think of… would love to try some more of your recipes!! oh man that looks GOOOOOOD! I have been making a version of this sandwich for years. My husband calls it my "Big A** Sandwich." Because it is both big and will widen your bum if you eat too many! I can't wait to try your recipe! YUMMY! Thanks for sharing! What an awesome sandwich. I would love it if you came by Cast Party Wednesday tomorrow and shared some of your recipes with us. Will certainly be trying this one. W-O-W… this sandwich looks sooo tempting! I´m definitely making it. Thanks for sharing!! 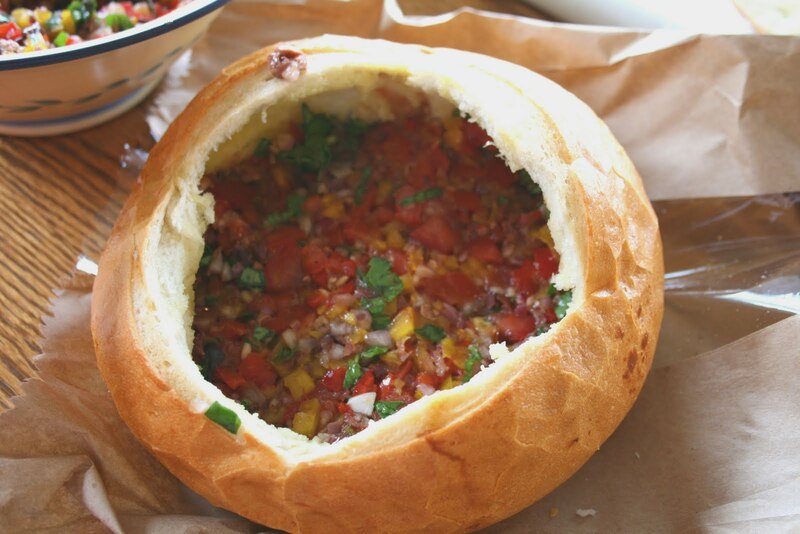 This looks delish and I'm pinning it to Pinterest to try very soon! I love the salsa idea for a sandwich. 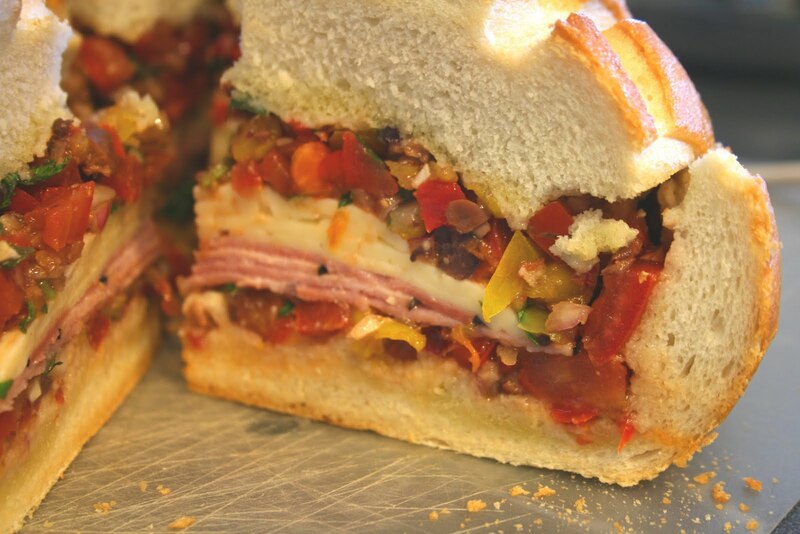 I am not a meat or cheese eater, but man oh man i will be trying the salsa sandwich! Thanks! WOW! This looks absolutely delicious! Pinning to try later. Thanks so much for sharing. I LOVE these sandwiches! I'd love it if you came over to Cast Party Wednesday and shared some recipes with us. YUM! This looks great! Thanks so much for linking up to Tuesday Talent Show! I would love to have you stop by and link up again tomorrow with more great projects! Made this before going camping this weekend and it was (as advertised) A-MAZE-ING!! Thank you, we loved it! We really enjoyed this on a recent camping weekend, too. Thanks a lot! Have made this twice now, gets better every time. Sooo easy and delicious!